Due to the functional limitations of the Telegram client, community administrators can only manage member individually. When your Telegram community grows rapidly, daily management of group members becomes an increasingly tedious task. 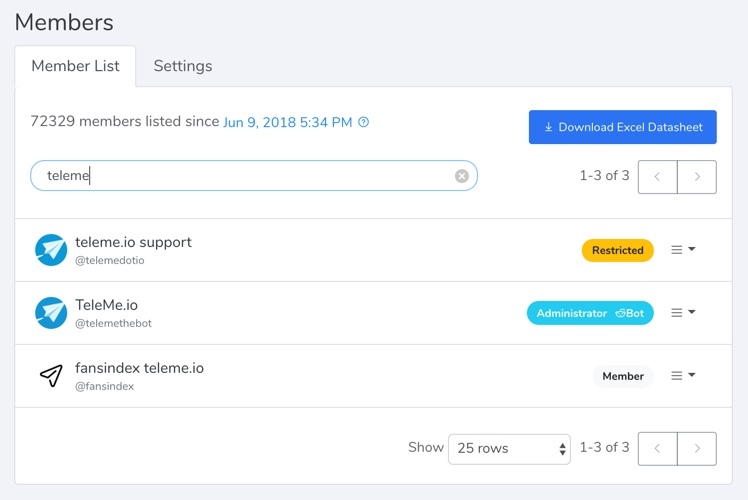 To help with this problem, TeleMe has designed a member management module for administrators to provide you with efficient management tools, and to help your community's business take off. 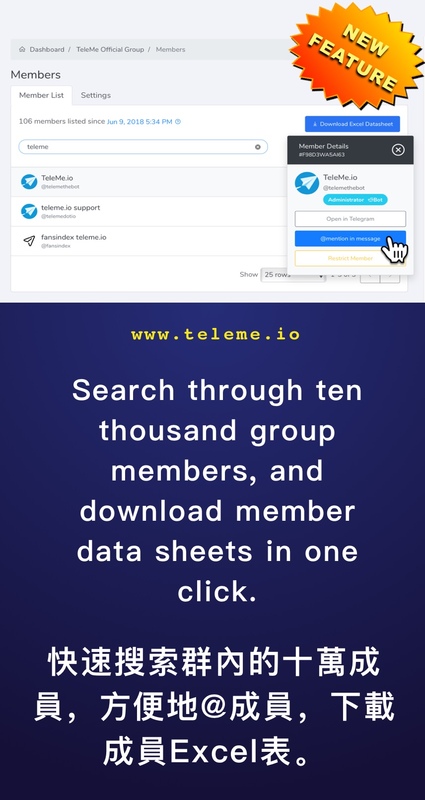 TeleMe's member search is not limited by the number of members in the group. The Telegram client can only search up to 10,000 people. 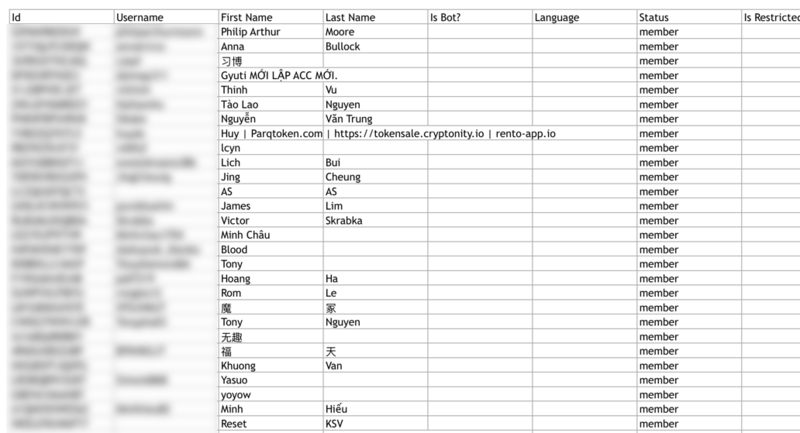 You can easily download the Excel sheet of member lists at anytime, anywhere, that will be much helpful when running community campaigns. 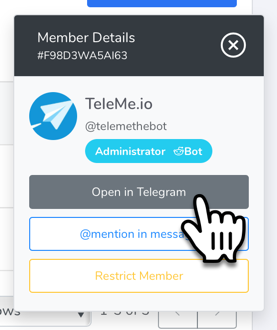 For members with a username set, you can open the direct private chat to that member from TeleMe. Using the @member function, you can have the message sent by the TeleMe robot automatically @ this group member. A corresponding reminder notification will be displayed on the member's Telegram client. Telegram apps will clean a member's information once that member left your group. Thus it brings difficulty for group administrators to find those members back. TeleMe helps you automatically save data about left members, helping to reduce the loss of members.